Home > Blog > BUSTED: 5 Common Weight Loss Myths! BUSTED: 5 Common Weight Loss Myths! Posted by Marko on August 9, 2017 in the following categories: Phentastic! Armed with phentermine and the desire to lose weight, you’re ready to set out on your weight loss journey. But what about…knowledge? Losing weight is a battle, and knowing is half the battle, as they say. And to properly prepare for this journey, you need to learn new things as well as UN-learn stuff that might hinder more than help! Let’s DEBUNK some very common, widespread myths about losing weight that won’t be doing you any favors. Classic myth. The ‘reasoning’ behind this one makes sense, in a way: you eat less, you gain less weight. Righhhhttt? Truth is that this might backfire on you. By skipping meals you’re basically getting hungrier and it can lead to having greater portions with your next meal, or preferring foods that are rich in fats. For phentermine users, a big problem can be remembering to eat in the first place! Since phentermine suppresses appetite you tend to ‘forget’ to eat because you simply don’t feel hungry. That’s bad, because your body still needs those nutrients! So don’t skip meals, pardner! Ok, we know that ‘organic’ food items cost more than ‘regular’ food items, but hey! We’re not telling you to buy those. Nor are we saying that getting a salad is cheaper than getting a steak, especially if you get it from the new vegan hipster place in your gentrified neighborhood. What we MEAN is this: substitute parts of your meal with healthier, cheaper alternatives like whole wheat pita bread, veggies, or brown rice. Or, instead of buying cookies, bake your own with healthy ingredients (such as oats, brown sugar, etc!). Or try some vegetarian dishes, like these 4 easy recipes! Not all carbohydrates are bad. In fact, the body uses them for fuel during physical activity. So, don’t cut them out of your diet; instead, replace processed carbs (high in sugar and white flour) with beans or whole grains. You don’t even have to skip on bread—just limit the amount you consume. Remember: a good, balanced diet actually requires carbohydrates! Check out our great article on carbs, fat and finding that balance. On the contrary! Snacking is a godsend! Binge watching your fave series and it’s still 3 hours before dinnertime? Have some non-sweetened popcorn, or an apple, instead of that bag of chips or tray of cookies. Snacking healthily and properly leads to better weight loss, after all! Ah, we’ve probably heard this one (or a variation) from our CrossFit-cult friends. And to an extent, it’s both a big fat lie…and the undeniable truth! You do burn calories by exercising, but to really lose weight, what you need is a caloric deficit. For example, to lose 1 pound in one week, you might need to burn down 500 calories or more every day of that week. That’s the equivalent to a two-hour walk, swimming for 30 minutes, or spending a couple of hours cleaning up the attic or basement. The important take-away here is that restricting your diet in the first place can be a more effective way of losing weight. After all, if I have less calories in my body, I will need less physical activity to burn them up. Don’t neglect exercise altogether though. There’s tons of physical activities you can engage in to make your body burn those calories, ranging from team sports, exercising at home or the office, or lifting iron at the gym. Got kids? Make your family part of the workout too! In the end, it’s all about balance. We all have different paths to tread on our weight loss journey, and our personalities and lifestyles will make each journey a unique experience. As long as you understand that losing weight with phentermine is a simple math exercise of calorie consumption vs. calorie burning, you can adjust your diet and physical activity to support your weight loss. With phentermine, you will have the energy to take on any chosen exercise and the appetite suppression will help you control calories better. 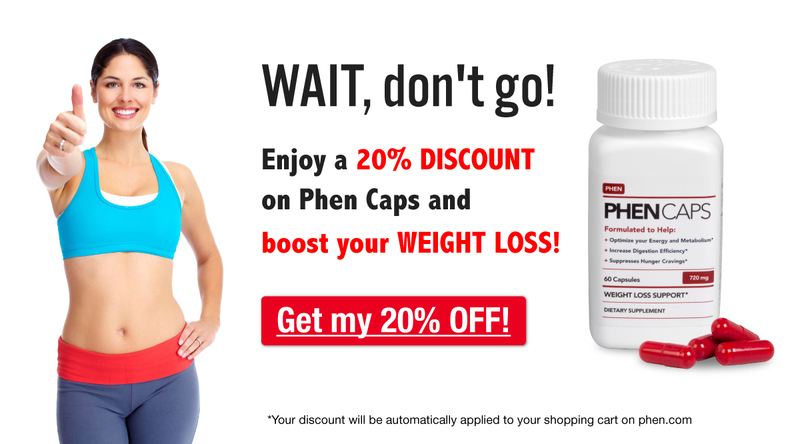 Be sure to check out popular myths about phentermine weight loss here! And if you know any other common, widespread myths about weight loss that are completely wrong, share them in the comments below!